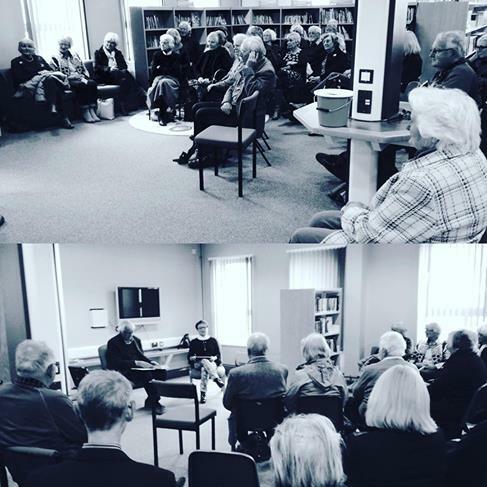 The LitFest started off tremendously well with three excellent events. 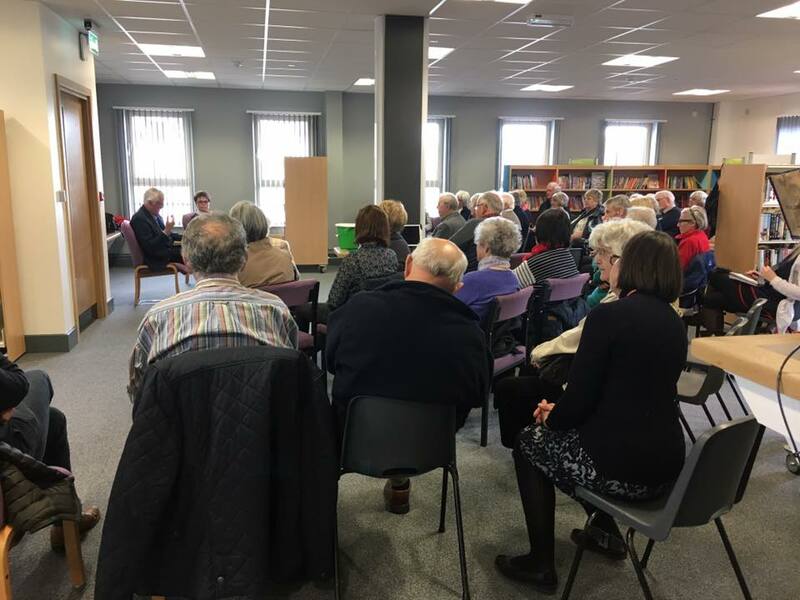 Th electure on Welsh Hymn writer William Williams in the Welsh language opened the festival to a packed and enthusiastic audience. 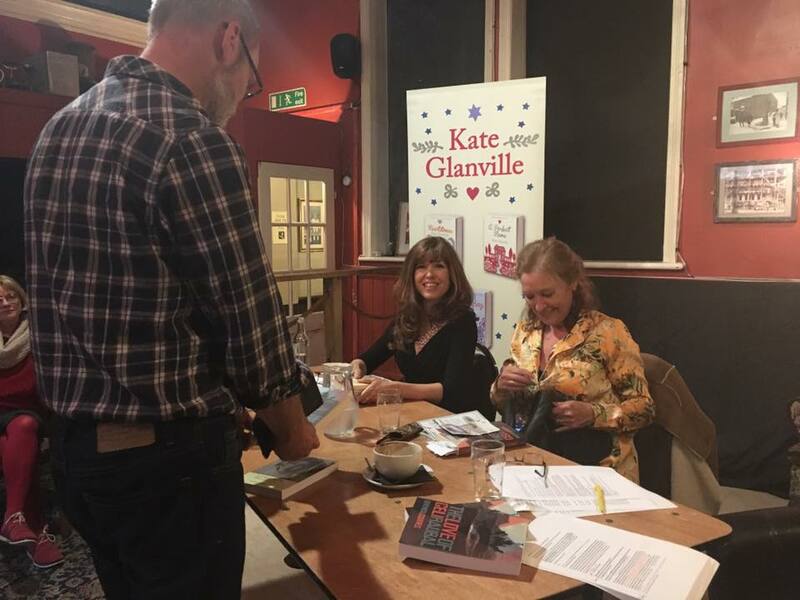 Kate Glanville and Brenda Squires created a lively discussion with their audience when they talked with Christoph Fischer about the genre romance and their books. Some lucky readers managed to get their copies signed. 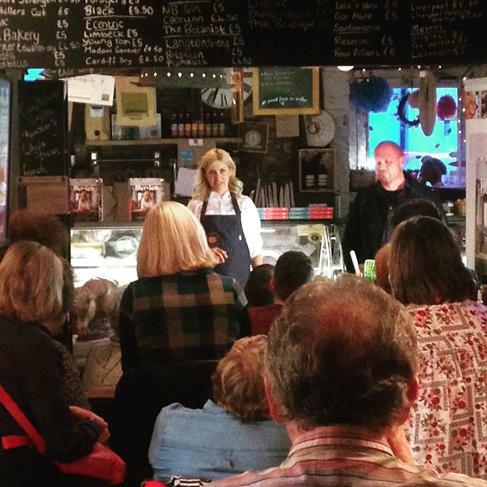 Lisa Fearn talked about her cooking book and gave a demonstration of her skills to a crammed Ginhaus Deli, proving her popularity and Llandeilo’s unsatiable appetite for delicious food and gin. All in all, a fantastic start to the Festival. Looks like this LitFest is off to a wonderful start! A brilliant start, Christoph. Well done to all.